The fruit for this wine is sourced from a premium parcel of Viognier at our landmark vineyard in the Upper Hunter. This wine exhibits complex aromas of stone fruits with hints of apricot and orange blossom on the palate and well integrated creamy oak characters. Palate: Rich and creamy with flavours of apricots and orange blossom. Ripe stone fruit with creamy integrated French oak. 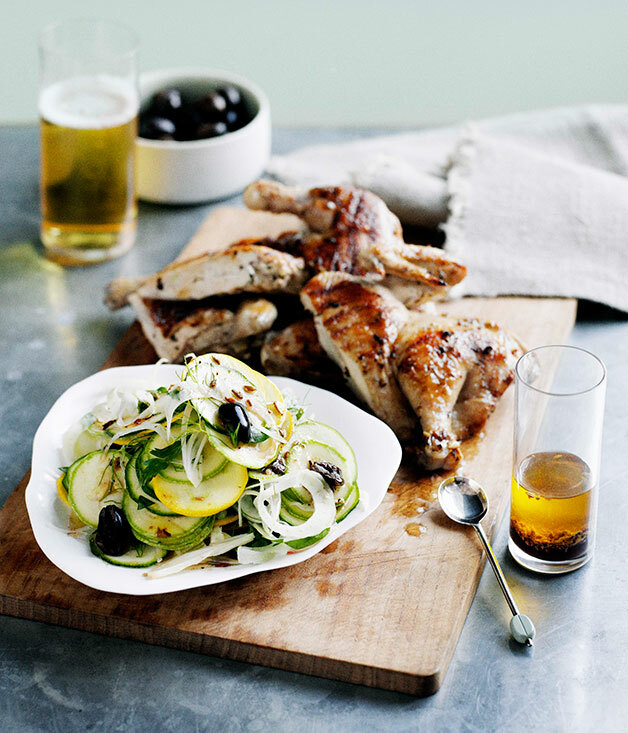 Barbecued spatchcock with zucchini, fennel and olive salad recipe :: Gourmet Traveller Australian Gourmet Traveller recipe for barbecued spatchcock with zucchini, fennel and olive salad.